Smash The Mic takes on bewilderingly different styles. We fire through new records of The Foreshadowing, Night Owls and Offret, while Mark gives props to the new record of Cairiss for Bandcamp recommendation of the week. 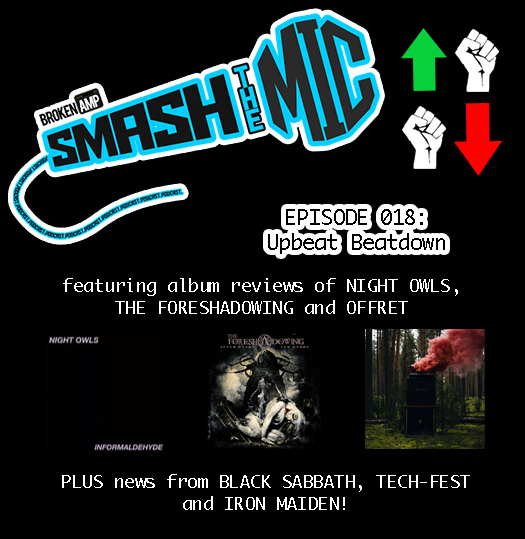 In the news, we face the inevitable end of Black Sabbath, get excited for Tech-Fest announcements and a sudden Iron Maiden tribute album pops up! Finally, we begin the exploration of just what makes a good cover song. Night Owls – Facebook. 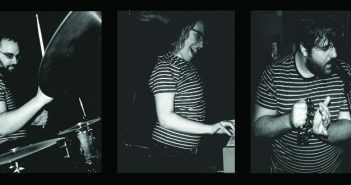 Their new EP Informaldehyde is out via Till Deaf Do Us Party. Offret – Facebook. Offret EP is available via Bandcamp here. The Foreshadowing – Facebook. Seven Horns Ten Heads will be available via Metal Blade on 29th July, preorder here. Cairiss – Facebook. Their new EP Fall is available on Bandcamp here.